You can provide your family with nutritious, tasty and simple meals, even when times are tough. The tips here may help you stretch your budget. Food prices have been rising for the past several years. 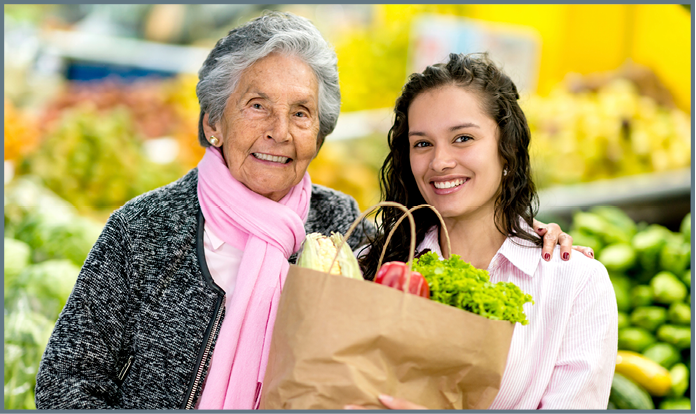 Many families may be concerned about how they will get healthful meals on the table for their loved ones. You can provide your family with nutritious, tasty and simple meals, even when times are tough. • Figure out a food budget. Consider the number of people in your family and how often you eat out. Save your grocery and restaurant receipts to help keep track of food expenses. • Plan and prepare. Being prepared is the key to creating tasty meals and stretching your budget. Set a time during the week to sit down with your local grocery store’s sale ads. Are ground beef and buns on sale? Hamburgers it is! Scour the sale ads for items that you could incorporate into this week’s menu. After you have created a week’s worth of meal ideas, make a list of ingredients you need. Check the kitchen for items you may have already. When you go to the store, stick to your list. • Buy some items in bulk. Flour, sugar, rice, beans, canned or frozen vegetables, whole grains and other food items can be stored and used in your weekly meal plan. • Keep it simple. Not every meal has to be fit for royalty. Simplify your mealtime process and focus on enjoying time with your loved ones. You will reduce your stress and save money. • Watch for deals. For example, some meats purchased in bulk are cheaper by the pound, and you can freeze them in meal-size packages. In season, fresh produce from a farmers market often is a better buy. Plain pasta often costs less than processed pasta meals. Generic brands are good quality but often are less expensive than name brands. • Supplement what you eat with what you grow. A family garden can be a great project and also provides fresh vegetables or other food items for the table. Don’t have many recipes on hand? Are you short on time? Check out our “Now Serving” publications for a series of menu plans and budget-minded meals . Question: As a family, we recently created a food budget after we looked at all our other monthly expenses. Now I’m having a hard time staying on my food budget. Any tips? Setting a budget is the first step, and often the hardest part, so good work! However, now that you’ve set the budget, you need to learn how to stick to it. • Do you find yourself at the grocery store several times a week? Try limiting your grocery excursions to once a week. You’ll save gas and be less likely to be swayed by temptation. • Do you have trouble saying no to your kids on shopping trips? Try shopping strategically. Let each child with you choose one fruit, vegetable or “fun” food. Be sure they know they only get one choice and stick to the rules, but allow them to switch items if they wish before you pay. • Take a good look at your grocery bill. Are you spending a lot of money on processed foods such as frozen pizza, french fries or fruit snacks? Try cutting back. • Stick closely to your identified grocery items for your meal plan. “Impulse” buys can increase your bill dramatically. Leave some flexibility for good deals, but avoid randomly adding items you have not considered for your meal plan. Brown ground beef and onion in a skillet until cooked through. Drain any excess fat. Return to skillet and set aside. In a small bowl, mix together soup and milk. Add sour cream, garlic, mushrooms and paprika. Pour mixture into the skillet with the ground beef and return to medium heat. Cook until mixture is thoroughly mixed together and hot, at an internal temperature of at least 165 F. Serve over egg noodles. Each serving has 320 calories, 8 grams (g) fat, 30 g protein, 31 g carbohydrate, 2 g fiber and 380 milligrams sodium. Quick Tip: Keep track of how much commonly used food items cost. For example, maybe last week a bag of cheese cost $3.50. This week it is on sale for $1.75. If possible, buy two bags and freeze one for later use. Jot down the sale price in a notebook, and watch for another sale.